Everyone has heard of STUDIO 54, arguably the most famous of all the dance clubs in the world. Studio 54 is now closed and is currently a Broadway theatre, located at 254 West 54th Street, between Eighth Avenue and Broadway in Midtown Manhattan, New York City. The building, originally built as the Gallo Opera House, opened in 1927, after which it changed names several times, eventually becoming CBS radio and television Studio 52. The doc is set in the late 1970s, at the peak of the disco dancing and music trend when the building was renamed after its location and became a world-famous nightclub and discotheque. But director Matt Tyrnauer’s doc centres more on the nightclub founders than on the club itself. 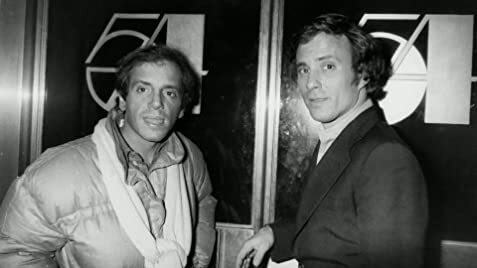 The founders Steve Rubell and Ian Schrager spent hundreds of thousands of dollars on professional lighting design and kept many of the former TV and theatrical sets, in the process creating a unique dance club that became famous for its celebrity guest lists, restrictive (and subjective) entry policies (based on one’s appearance and style), and open club drug use. Founded in 1977, the club was final sold in 1980 to Mark Fleischman who reopened the club after it had been shut down following the conviction of Rubell and Schrager on charges of tax evasion. In 1984, Fleischman sold the club, which continued to operate until 1986. Long history, here, provided with credit to Wikipedia for the invaluable information. Everyone loves a trip down nostalgic memory lane – especially when one is older and memories involve their youth. Rubell is now deceased, having passed away from the AIDs epidemic while Schager is now an old man. But it is good to see these two hard working individuals during their height of their powers and youth giving everything to their baby, STUDIO 54. Director Tyrnauer is fortunate to be able to obtain old footage of the club, since there are lots as the club was ultra famous. There are many clips of past interviews with both Rubell and Schrager including them with many celebrities. Tyrnauer begins with a recent interview with Schager. In the words of Schrager, this is a story that needs to be told as it is, and after 40 years, Schrager is now comfortable to have his say to the camera. STUDIO 54 is as much a story about the club (or studio) as it is about Rubell and Schrager. The film documents the two boys from Brooklyn who met in college and became fast friends like a husband and wife, in the words of Schrager. The film’s first 50 minutes show the club’s upside. The pair can do no wrong, but make lots of money with their club. The approval of a liquor license seems a minor problem. They had to turn down hundreds of partygoers who could not get into the club. There are lots of shots of the celebrities who celebrated at STUDIO 54 including the Rolling Stones, Liza Minnelli, Paul Newman with a list of countless other celebs. But all good things have a turning point. The film also documents the jail sentences served by the pair due to tax evasion and drugs. STUDIO 54 will probably not be cater to the non-partying crowd. 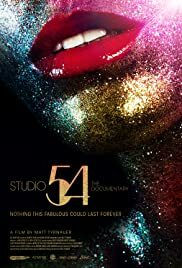 But for the majority who love to have a good time forgetting all their troubles while dancing in a club, STUDIO 54 brings back fine memories and serves as a worthy tribute showing immense trouble comes hand in hand with the success of any huge club venue.